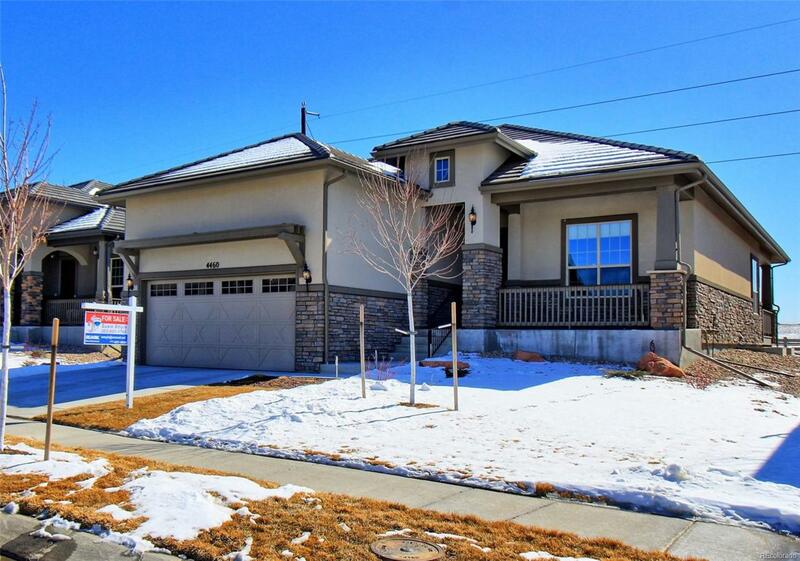 Fantastic Carson Model with unfinished basement with tall ceilings. Views of the mountains from the extended back deck, gourmet kitchen, stainless steel appliances, under cabinet lighting, solid surface counters throughout, soft close drawers. Glass kitchen backsplash, extended living room, prewire fans and pendant lighting, upgraded baseboards, office with french door, extended garage w/epoxy garage, extra GFCI, built in mudroom, laundry room sink, top down/bottom up shades, tankless hot water heater, security system, garage service door, window well covers, extra window in basement and all appliances included! A must see. Wont last.